C-D 001 DIGITAL STORYTELLING • 0	Cr. C-D 002 PHOTOSHOP ELEMENTS • 0	Cr. Learn to use Photoshops' versatile work environment to creatively launch your artistic projects. Study shortcuts, tool tricks, controlling layers, filters, painting and blending modes. C-D 003 GRAVESTONES AND CEMETERIES • 0	Cr. Genealogy may be the second most popular hobby in America today making good gravestone and cemetery photography essential for the researcher. Gravestones and cemeteries can be among the most challenging of photographic subjects. This two-day workshop will show you how to get clear and sharp photos, what equipment you will need, specific techniques required, cemetery legal and ethical considerations, and how to share your photos with online cemetery and genealogy sites. Students will provide their own transportation for the field trip. Field trip on Saturday, September 26, 2009; 10am to 4pm. Bring sack lunch. C-D 004 PHOTO SATURDAY • 0	Cr. Photo Saturdays let you get outdoors and photograph your surroundings with an experienced photographer who will personally tutor you and keep your interests and needs in mind. Topics may include when to use RAW or JPEG; how to expose for back-lit subjects; choosing the right lens; using a tripod; deciding when to use program, auto or manual modes; and more! Field destinations will be announced at the beginning of each session and will be dependent on available light and weather. Film and digital cameras and students of all skill level welcomed. C-D 005 NATURE PHOTOGRAPHY • 0	Cr. Master the challenges of nature photography in this 5-session class. Both classroom and field exercises are designed to sharpen your photographic skills. Learn tips on how to organize your equipment so it is ready when you need it, learn which camera file formats to use and when to use them, and find out when, and how, to use automatic, manual and pre-set camera modes. Each participant will receive Secrets of the Masters, a resource guide filled with practical field exercises. Class meets on Saturdays, 10am - 1pm, 5/8, 5/15, 2010. Location to be announced. C-D 006 NATURAL LANDSCAPE PHOTOGRAPHY • 0	Cr. Three day class. Here we are in the shadow of the majestic Olympic Mountains, close to dramatic coastal beaches and the spectacular Strait of Juan de Fuca - a not-to-be-missed opportunity for great photography. Learn the secrets of the masters and discover how to use color, light, and composition to create outstanding images. Learn to build a solid technical foundation that enables you to take the photographs you've always wanted to take. Discussion covers such topics as depth-of-field, lenses, natural light, metering, exposure and difficult lighting situations. The second classroom session will include positive print/image reviews, discussions of issues raised on the field session and what your next step in photography may be. Students will provide their own transportation for the field trip. Field trip on Saturday, October 3, 2009, 10am to 2pm. Bring a sack lunch. C-D 007 HISTORIC PRESERVATION PHOTOGRAPHY I • 0	Cr. This 3-day intermediate photography class offers a solid foundation for understanding the potential for creating personally expressive photographs using your digital camera. Learn how manual and built-in features of your digital camera can support your personal vision instead of impeding it. This class takes intermediate photographers from exposure compensation, manipulation of depth-of-field, shutter speed and more, to the ultimate goal of creating more compelling photographs. Second and third sessions will include positive commentary and discussion on participant photographs. C-D 008 HISTORIC PRESERVATION PHOTOGRAPHY • 0	Cr. Photographic Interpretation of Historic Barns & Homes Clallam County's historic barns and homes are rapidly disappearing. This is a two-day class that will explore the aesthetic and structural qualities of these buildings and how to document them for both historic and creative motivations. Saturday field trip is an opportunity to photography several historic sites. Field trips is on Saturday, Oct 3,2009, 10am-2pm (bring sack lunch). C-D 009 GENEALOGY/SCANNING PHOTOS • 0	Cr. Getting ready to scan those boxes of old photographs in your garage or closet? Tattered and faded photos can be a challenge to scan. Learn about proper resolution settings for your scanner. Discover the difference between TIFF and JPEG digital files and how to properly archive them when you are finished. This demonstration workshop will give you the skills to scan your family photos with confidence, produce high quality prints for your family tree and albums, and optimize images for uploading to online genealogy sites. C-D 010 PHOTOGRAPHY FOR REALTORS • 0	Cr. C-D 011 3D DESIGN WITH SKETCHUP • 0	Cr. A four-session course designed to get you started with Google's free Sketchup 3D drawing and modeling software. Students will learn the basic tools for drawing 3D models by designing a simple piece of furniture and a space. This course is for beginners with Windows-based PC experience. Students are encouraged to bring their own laptop. C-D 012 MANAGING DIGITAL PHOTOS • 0	Cr. This short class covers the essentials you need to know about digital photos including; basics of resolution and file formats, using image programs to enhance photos, preparing photos for publication in documents or on the web, scanning prints to digital files. C-D 013 PHOTOGRAPHING 3D OBJECTS • 0	Cr. Calling all sculptors, family historians, museum professionals and anyone interested in photographing three-dimensional objects. This three-session studio class will show you how to photograph small objects (less than three feet high due to space limitations) in order to effectively illustrate shape, color, texture, and detail. You will learn about lighting, camera positioning, lens selection, perspective, contrast, exposure and composition. We will also discuss file formats, making prints from your photographs, CD-ROM production and other related topics. C-D 014 COPYING YOUR ART • 0	Cr. Calling all artists! This three-session photo studio class covers the basics of copying any flat art: paintings, watercolors, drawings, collages, etc., You will learn to accurately, and consistently, obtain high-quality images for your archives, for submission to galleries and juried exhibitions, and for reproduction. We will discuss lighting, color, balance, exposure, polarization and the specific techniques required for varied surface textures. Also covered will be file formats, making prints from your photographs, CD-ROM production and other related topics. C-D 015 CREATING A PORTFOLIO • 0	Cr. So, you have taken a ton of photographs. They are in drawers, on your hard drive, in shoeboxes and on the wall. Take control! This class will give you the tools you need to develop and produce your own portfolio. We will take you through the steps involved in choosing the theme, choosing the photographs, judging the quality of the photos, narrowing the field, choosing your audience and finally, producing the portfolio. By the end of this four-session class you will be able to properly present your work and will have developed a photographic direction for future projects. C-D 016 DIGITAL PHOTOGRAPHY • 0	Cr. Learn to create personally expressive photographs using your digital camera. Move your photography beyond the Automatic function on your digital camera and learn to use all of your camera's features to create compelling photographs. Second and third sessions will include opportunities to share and critique your photographs. Class meets on Saturdays, 10am - 1pm; 4/10 & 4/17. Location to be announced. C-D 017 INTRO TO VIRTUAL WORLDS • 0	Cr. Discover the future of social networking, business, and education in Virtual Worlds. Create your avatar and learn to navigate through immersive 3-D environments. Investigate the cutting edge of communication by exploring your own personal areas of interest. Basic computer knowledge is required. C-D 018 PAINTING ON THE IPAD • 0	Cr. C-D 019 EASY DIGITAL CAMERA II • 0	Cr. GO BEYOND THE BASICS! LEARN HOW TO WORK WITH AND EDIT RAW IMAGES IN LIGHTROOM AND NIK. A FUN CLASS WHERE YOU WILL PHOTOGRAPH PORTRAITS WITH BOTH EXTERNAL AND NATURAL LIGHT, SHOOT MOTION AND MOVEMENT PLUS LEARN SLOW SHUTTERSPEED PHOTOGRAPHY AND MORE. C-D 020 INTRO TO DIGITAL MEDIA • 0	Cr. C-D 021 QUALITIES OF LIGHT • 0	Cr. Learn how light affects your photos. Classes will cover 8 qualities of light, and how lighting affects commerical & portrait photos and posing. Learn to control light with classroom and studio demonstrations. C-D 022 GRAPHIC DESIGN BASICS • 0	Cr. An introduction into the world of graphics for people with no formal graphic design training. Through simple tutorials using Photoshop Elements you will learn to use size, shape, color, and type to create five design projects. The lessons and exercises will walk you through some of the basics that make up the foundations of Graphic Design. Students must be familiar with Photoshop Elements, browsers, email, and computer file system functions. No formal training in graphic design is required. C-D 023 CREATE GREAT PHOTOGRAPHS • 0	Cr. Having an expensive camera doesn't make you a better photographer any more than an expensive pen makes you a better writer. Learn camera contraols, exposure, improve composition & lighting. Plus valuable tips from a 40 year pro. C-D 024 PHOTOSHOP FOR ARTISTS • 0	Cr. C-D 025 ADOBE LIGHTROOM • 0	Cr. Drowning in pictures? This one-day class introduces photographers to the basic and intermediate functions of Adobe Photoshop Lightroom and is designed for any photographer who needs to manage, organize, and find their files in order to process them through an organized and structured digital workflow. Learn to input images, add essential metadata, expose adjustments, tonal and color corrections, black-and-white conversion, and final output to screen or print. No knowledge of Adobe Photoshop is required. C-D 026 USING YOUR DIGITAL CAMERA • 0	Cr. Get a hands-on tour of your digital camera's features and define technical terms as you go. Class includes transferring photographs to a computer, resizing, cropping, and printing. Bring your digital camera and user guide to class. Prerequisites: Basic computer skills. This class has limited enrollment. C-D 027 PHOTOS STORYBOOKS • 0	Cr. Celebrate your ancestors in a personalized hard cover photo book. Create a baby book, family cookbook, wedding album, or showcase a special occasion. Whether you are a family historian, a budding professional photographer, or have precious family photographs you want to show off, this course will teach you how to scan, edit, and display your photographs in a professionally printed photo book. Student responsible for their own printing fees. Fees start at $39 - not included in tuition.Washington State clock hours offered. C-D 028 ILLUSTRATOR FOR ARTISTS • 0	Cr. Learn how to use your mouse and Illustrator as a method to express your imaginative designs with vector graphics. Gain the hand/eye coordination and basic techniques that makes Illustrator a powerful application. You will be able to create and transform artistic objects with the mighty pen. Participants are encouraged to bring their own personal projects to customize their learning. This course requires an active imagination and basic computer knowledge. C-D 029 PHOTOSHOP CS5 BASICS • 0	Cr. Learn your way around Adobe Photoshop CS5 in this hands-on class. Use fast and easy methods to enhance the color, vibrancy, contrast, and sharpness of your digital photographs. Restore and color tint black-and-white photographs. Edit layers and analyze tonal values. 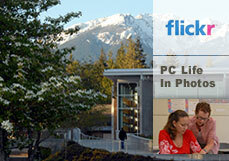 Bring your questions and photographs on a CD or portable drive to class or use images provided by the instructor. Prerequisite: Good computer skills. C-D 030 URBAN PHOTOGRAPHY • 0	Cr. Develop an understanding of what makes an artistic street photograph. Saturday morning will be a tour of downtown Sequim, photography, and field-based instruction. Saturday afternoon, students will meet for classroom-based instruction, including discussion and critique of the images produced. See www.randalltomaras.com for more information. C-D 031 DIGITAL PHOTOGRAPHY • 0	Cr. Whether you are new to the world of digital photography or a long-time user of a digital camera, this class will help with tips and instruction to improve your skills. Some of the topics covered are resolution, digital exposure, white balance, camera functions, image capture, processing, printing, archiving, and storage. Bring your own digital camera and manual. C-D 032 PHOTOGRAPH YOUR ART • 0	Cr. Good quality photographs of your artwork are necessary for juried shows, proposals, and archives of your work. This workshop will teach you to photograph your art using any digital camera and items that you can easily find in your home. Topics include: Techniques to photograph 2D and 3D pieces, glass, and jewelry; creative use of lights and backdrops; and the use of light tents (and how to make one on a budget). Bring your camera and manual to explore the settings you need. All levels welcome; some familiarity with the use of a digital camera is needed. C-D 035 PS ELEMENTS SOCIAL MEDIA • 0	Cr. Utilize the new Social Media tools built into Photoshop Elements to share engaging images with friends, family, and professional connections. Learn how to make attractive adjustments that make images pop and motivate interest and comments. Discover how photo content will improve your social networking success. C-D 037 PHOTOHSOP ELEMNTS PRIMER • 0	Cr. A comprehensive introduction to jumpstart your usage of Photoshop Elements, discover the program's capabilities, and learn how to make attractive photo adjustments easily. After enhancing your photos, utilize the new social media tools and share your engaging images with the world. C-D 040 PHOTOSHOP ELEMENTS • 0	Cr. Learn to use Photoshop's versatile work environment to creatively launch your artistic projects. Study shortcuts, tool tricks, controlling layers, filters, painting, and blending modes. C-D 043 PHOTOSHOP ELEMENTS II • 0	Cr. This class builds on image techniques learned in Photoshop Elements I and takes them beyond the basics. Unleash the image editing and enhancement capabilities of Elements through Adjustment Layers, Blending Modes, and Smart Brush to make images extraordinary. Learn gradients, montages, painting black and white, brush options, art techniques, and more. Prerequisite: Photoshop Elements I or Photoshop. C-D 050 PHOTOSHOPS PROJECTS LAB • 0	Cr. One-on-one instruction to increase your Photoshop Elements productivity; apply it to creative or practical projects. Enhance your skills creating your own personal projects in an encouraging hands-on environment. Prior experience with Photoshop Elements required. One-on-one instruction to increase your Photoshop productivity and apply it to creative or practical projects. Enhance and correct your images with masks, channels, adjustment layers, and combined photo collage techniques. C-D 057 ART+TECHNOLOGY • 0	Cr. Introduction to Photoshop?s Environment and Tools. Enjoy a friendly tour through Photoshop?s work area including the Menu Bar, Options Bar, Toolbox, Active Image Area, and Palettes. Open your digital toolbox and explore the power tools at your disposal. Find out why there is a magic wand, clone stamp, and history brush. Study shortcuts, saving, and navigation in Photoshop to make your time on the computer inspired not confusing.